PstViewer Pro is an E-Mail viewer with many useful features. 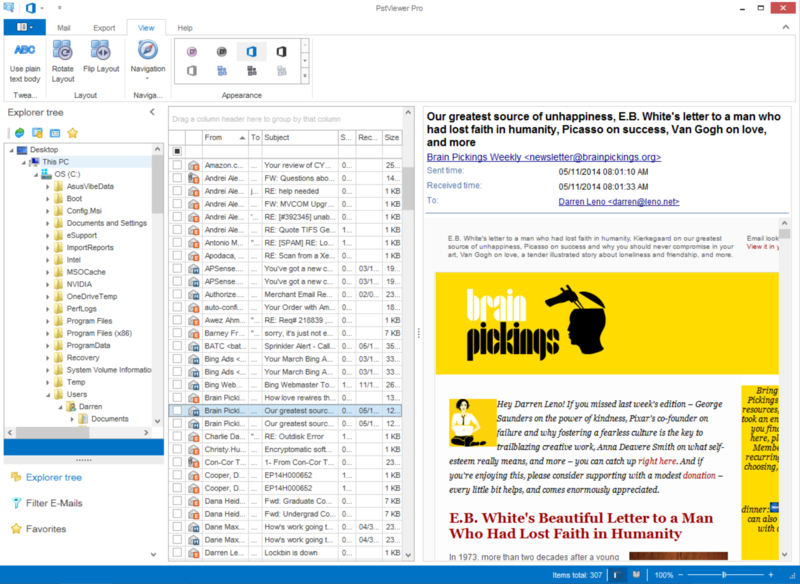 You can use it to open Outlook .pst, .ost and .msg email files. Messages are displayed in a maillist. A preview window lets you see the formatted content of the message. 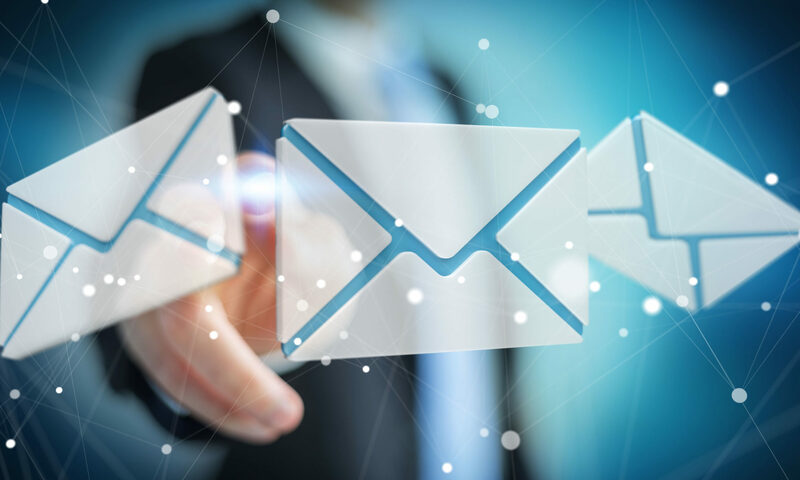 Double clicking on an email in the list will cause it to open in a full screen view.Although many people prefer to have the E-Mail preview window below the maillist, there are those of us who prefer to have it displayed on the right. It’s a personal preference that PstViewer Pro can accommodate. 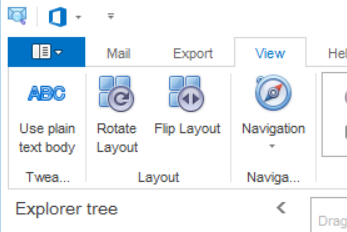 Changing the layout orientation of PstViewer Pro’s preview window is simple to do. Start PstViewer Pro and then click the “View” menu. There are two controls on this menu that you’ll use to adjust the orientation of the preview window. Click “Rotate Layout” and PstViewer Pro will move the preview window to the right hand side. What if you prefer the preview window on the left? Click “Flip Layout” to move it the left side. Tweak the layout of PstViewer Pro with these controls until you are satisfied. PstViewer Pro with e-mail preview window on the right-hand side. That’s all it takes! Thanks for using PstViewer Pro!